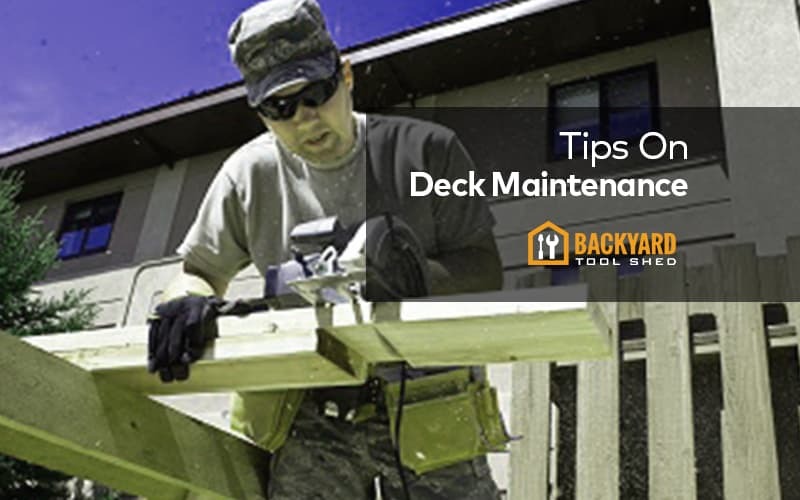 Deck maintenance is very important for your deck. When somebody walks in your house and sees a poorly maintained house, it can leave a lasting impression on them. Properly maintaining your deck will allow you to have a reason to be proud of your home and feel comfortable inviting people over. Let’s have a look at deck maintenance using our advanced guide below. 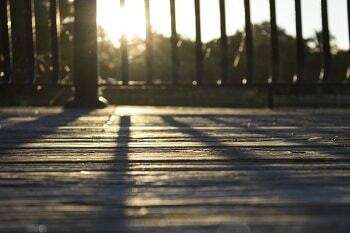 Before you start the process of maintaining your deck, make sure you give it a thorough washing. This will remove all the dirt and any other excess junk that can impede the process of fixing up your deck. Using a simple pressure washer setup (which you can buy at any hardware store) will allow you to rid the deck of all debris. Keep washing it until you are satisfied with the result. If you find any of the boards need repairs, then make sure you get them repaired. Take measurement of the board after removing the screws and pulling it out. If you haven’t bought replacement wood yet, do so by visiting the local hardware store. Cut the board that needs to be replaced out with a jigsaw and remove all the nails and screws. After this, properly measure the board and area left behind by the removed board. This will allow you to get a proper cut in the new wood, so that it fits like a glove. To properly install the new board or boards, you will need to have proper screws for the deck. These are found at your local hardware store. Every type of wood and style of deck needs a different score, so ask for help at the hardware store. They will be able to help you out. Staining the deck is more important than painting it, as many people who build a deck like the original color of the wood. However, staining it will insure that you get your money out of the deck. Staining wood with a proper protective staining prevents early erosion, bugs from burrowing in and any other animals from destroying the wood. If you are looking to preserve the color from the sun and other elements of nature, then use a clear wood stain. This will keep its original color, protect it and help it maintain the color as well. If you are adamant in repainting it, then you can other buy a paint or stain that matches the color you are looking for. Doing maintenance work that requires the use of any power tools or harmful chemicals means you need to properly protect yourself. We always recommend wearing at least eye protection and proper foot wear. It is all too easy while working outside on your deck to drop something on your feet and break a bone. Whether it is power tools, wood, nails or anything else that is dangerous, there are many, many different ways to cause damage to your feet. Wearing proper eye protection is crucial as well because while you are using power tools or stain (dangerous chemicals) things can fly up at your face and get into your eyes. Unfortunately, our eyes are very delicate and any kind of damage to them is almost always going to permanent. 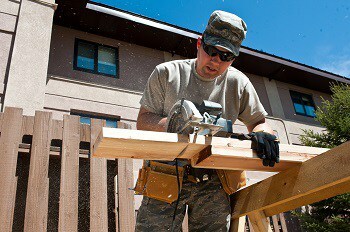 The most important times to wear eye protection is when you are using power tools or staining. Wearing them while hauling the lumber around is not necessary, but we still recommend it. 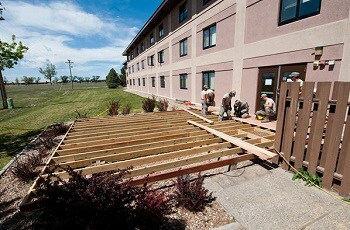 Properly maintaining your deck is like anything else. Keep it in good shape and you will be much better off in the long run. Maintaining anything will allow you to save more money, and not have to deal with the headache of entirely rebuilding a new deck. Not only that, but whenever you invite people over, they will take note of your nice deck and ask you if it is brand new. This will leave them with a good lasting impression, and want to come back to your house.